Thin Cuts: if you are not familiar with them, they are dies that cut out a shape. This month only you can purchase them for 25% off! Close To My heart has basic Thin cuts that will cut out things like circles and hearts. We also have Bundles which include the Thin Cuts and Stamps that go with them. How about words, yes we have those too. This photo doesn't do this fun card justice. What you are seeing here is a folder, inside contains the fun popping box. 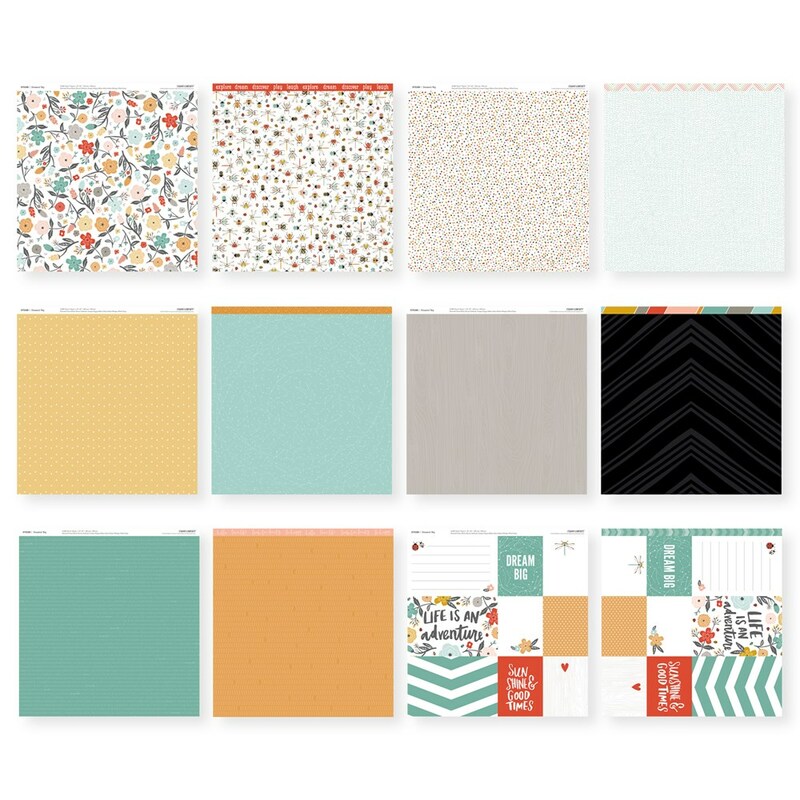 The papers are from our Sugar Rush collection. Once you remove the belly band this fun cube pops out. It is a 3" cube and you can add anything you want to the sides. A rubber band inside the box makes it pop out. How fun is that! 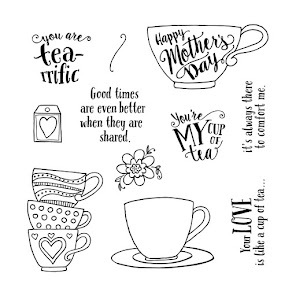 Want a printable pattern for this card? Submit any size order on my website and I will email the pattern for the cube to you. Don't forget your email address when you submit an order, so I know where to send it. In May we have a special paper packet coming out that I made another version of this card, using a drawer box to hold that cube. Wait until you see it! Dreamin' Big is fun paper! Take a look at the patterns in this paper packet. I had some fun making this Stacked Candy Box. The belly band holds the box closed and is approximately 3 1/2" x 3"
This is what the box looks like opened! It has a deep bottom drawer and 2 smaller boxes on top. 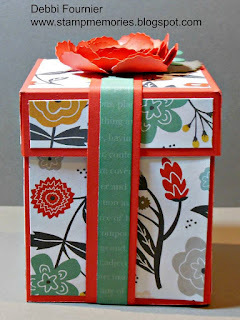 I used Poppy Cardstock to make the box then added the fun Dreamin' Big patterned papers! Boy, I haven't posted in a long time. Sorry about that! I posted a while back that I was going to be making cards to go inside the card box I had posted done with our now retired Swan Lake Papers. We are doing that class this month and I wanted to share them with you. I did not design all these cards, I got ideas from other CTMH consultants. Here is the card box again. 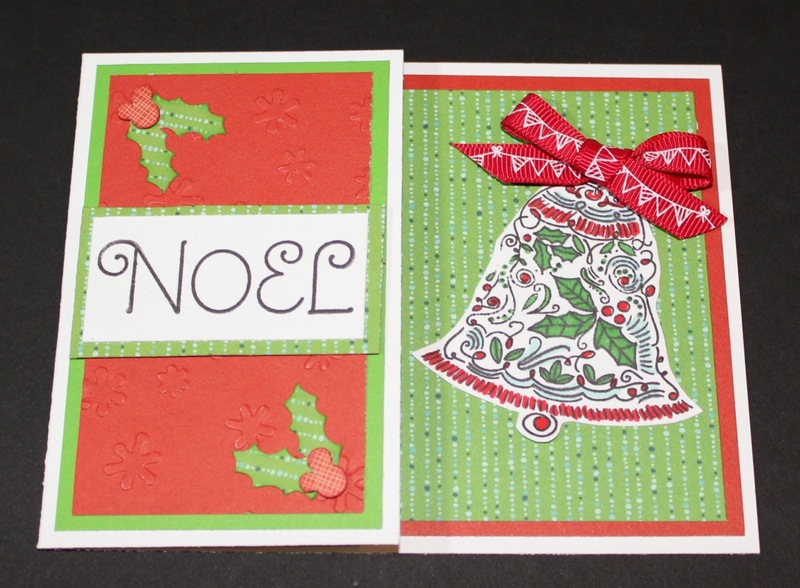 At the workshop they will be making 2 of each of these cards to go inside the card box. 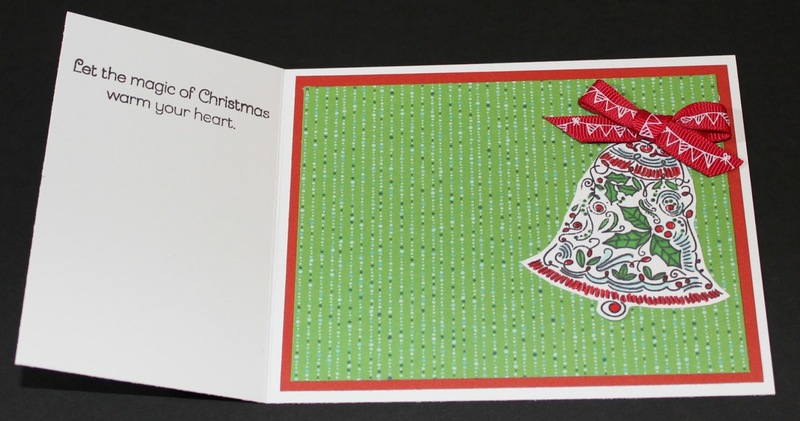 If you are interested in getting a kit to make these cards and the box, email me at ddd4nier@aol.com. The cost is $20 and that includes everything cut out for you, flowers, papers, diecuts and box, any accessories seen in the cards and mailed to you in a flat rate envelope. I have 5 kits ready to mail out. I had a little challenge for my team to make a 1/2 fold card this month. Here is the one I made using City Sidewalks papers. Look at this fun paper! Easy directions for the fold card. Card base is cut at 4 1/4 x 8 1/4" and score at 2 3/4". Layer pieces 1/4" smaller on top of each section. 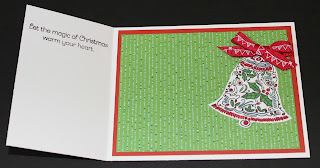 I also used our new Snowflakes Embossing folder in the 5 x 7" size ! There are Cranberry snowflakes, right! 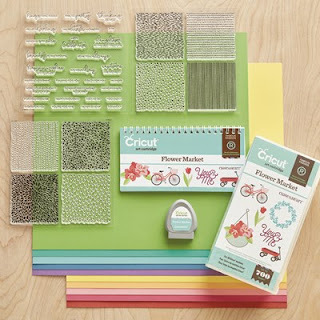 We also have an exclusive City Sidewalks Digital Cartridge by Cricut that goes with this paper. 30 complete images, including titles, photo frames, borders, card sentiments, card overlays, and other cheery Christmas designs. $34.95 This digital download is only for those who have Explore or Explore Air machines. This pretty paper is from our Swan Lake collection. 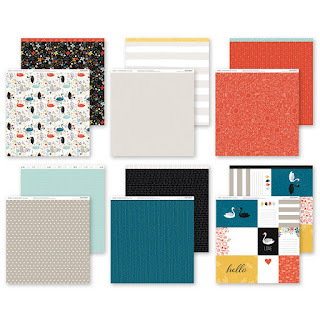 This project is a card box that holds up to 8 - A2 standard sized cards and envelopes. 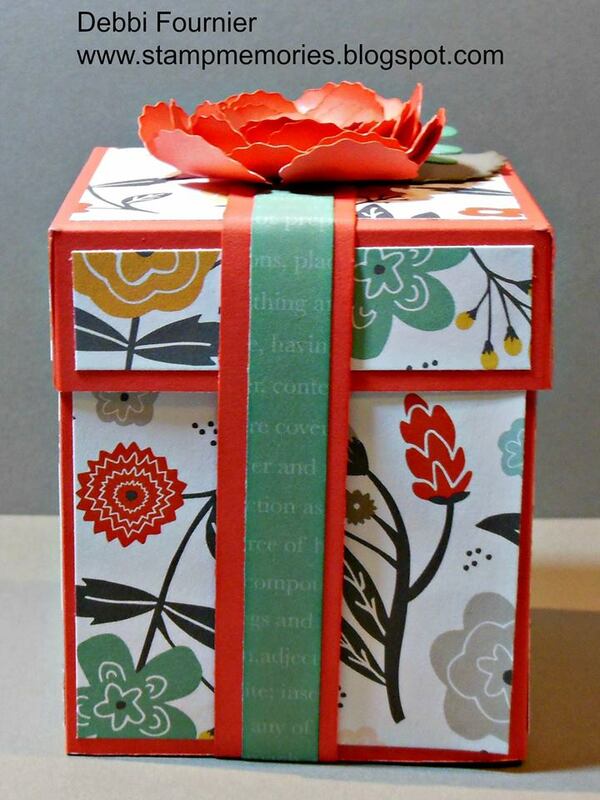 It will be available as a kit soon including that fun flower from our Flower Market Cricut Cartridge.. I will post cards in the next few days. So check back. This is the inside of the box. Here's the rest of the collection, isn't it pretty! I have a new Close To My Heart website address! I have been waiting for this name to come available and it now is! 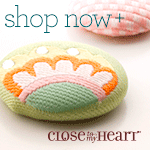 Today is the first day of our amazing new Close To Heart Catalog! One of our new items is another CTMH exclusive Cricut Cartridge. This one is called Flower Market! 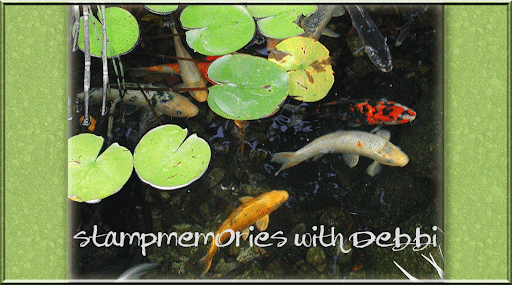 Again over 700 images including a font. We are getting new Albums which will be ready in mid August as well as our new Organizers! I am so excited about getting new organizational tools! 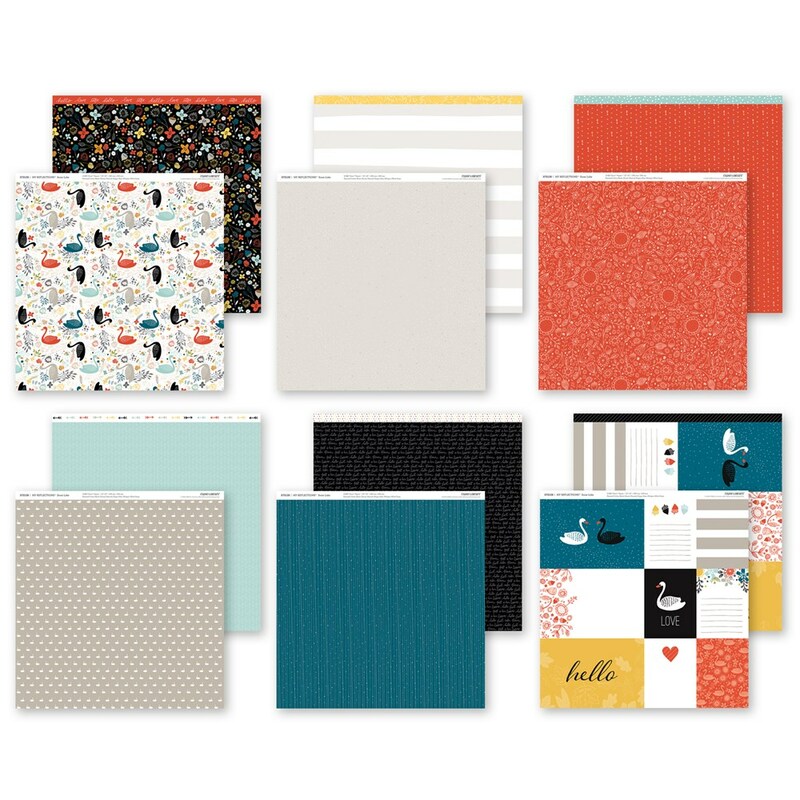 We are also getting new larger stamp pads! These will be coming the end of August. The lids will come off easily and have magnets to stack them easily. Check back soon as I will be posting sneak peaks for new products! Well here it is. My Magical Mini Album! I love the Disney look of it so I added little Mickey's here and there. I made this up using about a 1/2 of the paper packet but added the cardstock. Kit is now sold out! Everything will be pre-cut for you, makes it real easy for you. I will email you all the photos, and any directions you might need to put this together in no time at all. 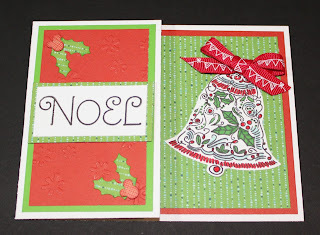 I used our Bonding memories glue pen on all the Vellum die-cuts and any paper to paper gluing. I used our Thin 3-D Foam Tape to mount items up. Love the little black mini album that Close to My Heart will be retiring soon. So I made up a cute Mini using our Calypso papers and Complements. How cute are the flowers, flamingo's and pineapples? I made this up using about a 1/2 of the paper packet but added the cardstock. Kit is now sold out! This is the cover with space for a 4x3 photo on the front. The inside pages are either 3x4 spots for photos, journeling, or just fun details; or 4x6 spots. Here are the inner pages including everything that will come in the kit. Both kits are now sold out, sorry!